Although the many //Build/ announcements where overshadowing the news, Azure Site Recovery and Azure Backup for v2 machines (ARM) are in Public Preview! There have been some changes, in the “old” portal you’d have to create a vault based on what you wanted to do, ASR or Backup. In the new portal ASR and Backup are also grouped as “Recovery Services” but it gives overview over both services. 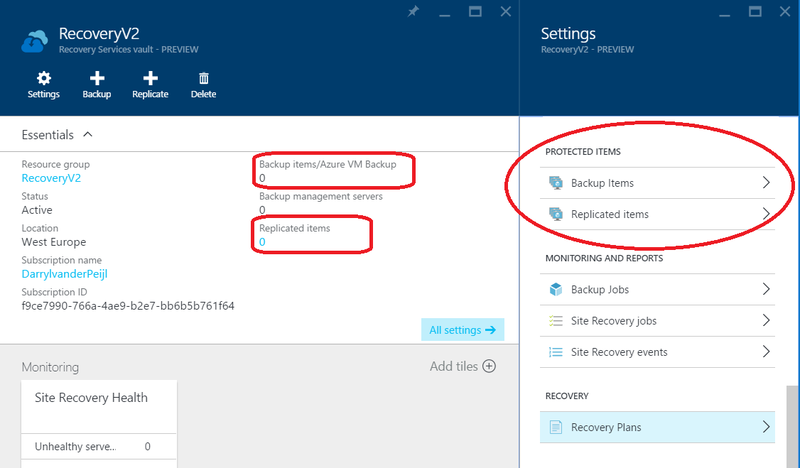 Within the Recovery Services pane you can now manage all stuff that is nessary for backup and disaster recovery eg. Backup policies and replication schedules. 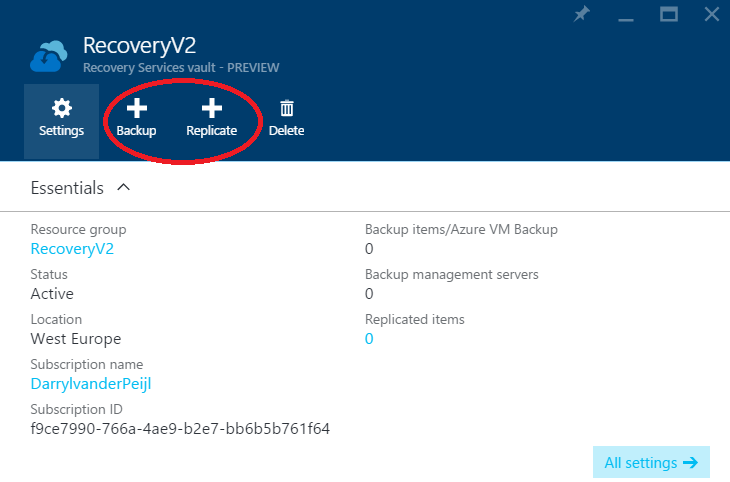 The new recovery services are in public preview and deployable for everyone with an Azure subscription. Get started by choosing the Browse and search for “Recovery Services”. After the recovery services vault is succesfully deployed you can easily start backing up virtual machines using the top menu. Replication of virtual machines acquires some additional configuration of the on-premises environment. TIP: Use the “Getting started wizard”. At the time of writing there is no support yet for Windows Server 2016. The Microsoft program groups are really listening for feedback using uservoice: Site Recovery Azure Backup, Post and/or Vote for ideas!